Patients with myalgic encephalomyelitis/chronic fatigue syndrome (ME/CFS) showed clinical improvement after extended treatment with the anti-B-cell monoclonal antibody rituximab. This result suggests that in a subset of patients, ME/CFS might be an autoimmune disease. Rituximab is a monoclonal antibody against a protein on the surface of B cells known as CD20. When the antibody is given to patients, it leads to destruction of B cells, which are the producers of antibodies, proteins that are made by the immune system to counter infections. The drug has been approved by the US Food and Drug administration to treat diseases of B cells such as lymphomas, leukemias, and autoimmune conditions. ME/CFS is a disease of unknown etiology and mechanism that includes symptoms of severe fatigue, post-exertional malaise, pain, cognitive and sleep problems that affects 0.1-0.2% of the population. A previous randomized, phase II trial of rituximab treatment showed clinical benefit in 20 of 30 patients. The improvements were evident 2-8 months after treatment, leading the study authors to suggest that remission requires elimination of long-lived antibodies after depletion of B cells. The current study was done to determine the effects of sustained treatment with rituximab. Included patients (29) were 18-66 years of age and diagnosed with ME/CFS according to Fukuda 1994 criteria. All were given rutiximab infusions two weeks apart, then at 3, 6, 10, and 15 months, and followed up for 36 months. Self-reported symptoms were recorded every second week and used to calculate scores for fatigue (comprising post-exertional malaise, need for rest, daily functioning), pain (muscle, joint, and cutaneous pain and headache) and cognitive scores (concentration ability, memory disturbance, mental tiredness). Clinically significant responses were found in 18/29 patients (64%), with a lag of 8-66 weeks. After 36 weeks 11 of 18 responding patients were still in clinical remission. Nine patients from the placebo group in the previous study were included in this trial; of these, six had clinical improvement. 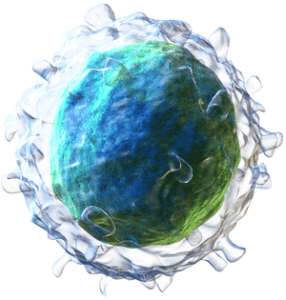 These results show that some ME/CFS patients benefit from ablating B cells. The delayed response, coupled with the relapse after cessation of treatment and B cell regeneration, suggests that antibodies are involved in the pathogenesis of the disease. Because onset of ME/CFS in many patients correlates with a viral infection, it is possible that antibodies to viral proteins may cross-react with self proteins, leading to autoimmune reactions that cause disease. Treatment with rituximab would lead to reduced levels of such antibodies, thereby reducing symptoms. These results warrant trials of larger numbers of ME/CFS patients in other countries (this study was carried out in Norway) to determine if ablation of B cells would have a similar effects elsewhere. It would also be useful to determine the total repertoire of antiviral antibodies produced by ME/CFS patients. Such antibodies can be identified using the newly developed VirScan assay, which requires a small amount of blood and is relatively inexpensive. The results will indicate whether certain viral infections in a large population of ME/CFS patients predispose to the illness. Furthermore, the results may also be used to guide efforts to determine whether such antibodies react with human cellular proteins. A similar approach was used to determine that antibodies to an influenza virus protein cross react with a neuropeptide receptor, leading to narcolepsy. While these findings are promising, they also show that not all ME/CFS may involve autoimmune pathogenesis. Other creative approaches will be needed to determine the cause of disease in individuals who do not respond to rituximab. have a chance of treatment in the near future. data’ biomarker study in severely ill patients. could now be a treatable disease, and perhaps even curable, in some patients. working on it. Many projects are ready to start as soon as they have the funds. Thank you for this very informative article. I found it the “Goldilocks” of articles on this subject. The journal abstracts were too technical for me and the general news articles were too simplistic. Yours was ‘just right.’ Thank you, also, for including information about this poorly understood disease in an effort to correct the massive misconceptions the often exist. The subset that benefits would be ME (G93.3). It seems rather risky to give rituximab to CFS patients (R53.82). Great article explaining this research. Thank you. What’s the difference between whiplash and the flu? Come on now. The new trial is one-armed and open label (and placebo was his name-oh), and the effect size from the 2011 blinded trial was tiny and it failed in its primary endpoint. Let’s not be pressured by activists to inflate unconvincing results. You are a clever guy! What is your problem Cee? Why go out of your way to comment on this article only to denigrate what are significant results and some desperately needed good news for those whose lives have been ripped apart by this illness (myself included!) ? I agree the using a control group in every study is most desirable but with these studies the patients that responded did so 2-8 months after receiving the Rituxmab infusion. That is not the kind of response that would be expected from the placebo effect which typically shows soon after the placebo has been given and its effect is generally short lived. We face scepticism daily that we aren’t really sick, just lazy. Then when we get excited about a possible treatment that could help us get back to work we are then branded as activists?!….. Lazy Activists??? Dealing with this illness is hard enough without having to combat the ignorance spread by the likes of you. Would it really hurt for you to extend us a little courtesy and recognize that maybe, just maybe ME/CFS is a very real and very destructive illness and that people suffering from it deserve support not derision? If that’s too much for you then unless you actually have something constructive to say perhaps you could just keep your mouth shut. Guido there are still a lot of people out there with the perception that those who claim to have ME/CFS are full of s***. In that regard your post really doesn’t help. ME is a specific postviral neuroimmune disease. CFS is unexplained fatigue and malaise and the two have nothing to do with each other. There is no disease named ME/CFS. Wow still not helping there Guido….. try googling ME/CFS. Both ME and CFS describe the same illness, they are used interchangeably and often together! Unfortunately Wikipedia doesn’t explain the difference between whiplash and the flu but there is this. You don’t even have to google it, look at the title of the article you are commenting on! The authority on the classification of diseases is the World Health Organisation, not some random internet page filled with errors. I’d ask you to provide sources but I can see conversing with you is going to lead to nothing but a dead end. Good luck Guido. You do realise that we are living in the year 2015 don’t you? A lot has changed since 1992. After a quick look on the WHO website I can’t find any reports published before 2003. I’m sure you’ll have a reason as to why this isn’t a reputable source but here are just a few examples of studies published in scientific journals that use the term ME/CFS to describe the one illness. Anyway as I thought, hit that dead end, so I’ll leave it that. The ICD is continuously updated. However, if you prefer, this month the new ICD-10-CM became mandatory in the US. It has ME at G93.3 (postviral neurological disease) and CFS as R53.82 (unexplained fatigue and malaise). The publications that you mention are irrelevant because they don’t study or discuss disease classification. Some authors that discuss the issue are (not counting myself) Hooper, Hyde and Twisk. Meanwhile the burden of proof, that two things with entirely different descriptions would be the same thing, is on you. Man I can’t resist, mainly because you think you are so clever (you might well be) but you obviously don’t realise that you only come across as a complete tool. Just some random websites I know, I haven’t got the energy to source and reference directly from the ICD-10. For everyone but you I’m sure they will suffice. “The World Health Organization International Classification of Diseases (ICD-10) classifies chronic fatigue syndrome/myalgic encephalomyelitis (CFS/ME) under neurological disorders at Reference 93.3 and uses the terms post-viral fatigue syndrome (PVS) and benign myalgic encephalomyelitis. The Department accepts this classification and recognises CFS/ME as a neurological condition of unknown origin. When looking for sources, you must ask yourself who would really know. The Countess de Mar knows. But when she gets quoted, oftentimes some idiot will add CFS to text or title. If you’re trying to argue that ME and CFS are the same thing you probably don’t want to reference the CDC. Their stance is that they are not the same disease. Take a look at their ICD-10-CM that came out earlier this month, ME and CFS are listed separately as mutually exclusive diagnoses, G93.3 and R53.82. The quote about the WHO ICD-10 is incorrect, CFS is not classified in this document. The term does not even appear in the tabular data for G93.3. This is simple to verify. The Countess of Mar quote is quite right, you can’t list the same disease twice in two different places in the ICD, which is why the CDC (who created the CFS definition) has always maintained ME and CFS separately in two different sections, both in the ICD-9-CM and ICD-10-CM, because they are not the same. The CDC has also pointed out previously that the case definitions for ME and CFS don’t match due to the lack of neurological symptoms in the CFS case definition. The IOM pointed out the same thing in their 2015 report, hence why they refused to rename CFS to ME and instead devised SEID as the new name for CFS. The creator of the 1994 CDC CFS definition, Keiji Fukuda, has stated that the noted ME outbreaks in LA, Iceland, and London were not CFS outbreaks. WRONG. CFS was the label given to those in the US who have ME but the US did not recognize it as such and labeled it Chronic Fatigue. Kindly ensure the CDC gets the memo this time. I am not sure I disagree with Guido…why aren’t all countries on the SAME page? Is CFS the same as ME? I think this is well worth discussing, but it’s a waste of time to fight about it. It’s also not useful to insutl each other. This is not an ego war, it’s about the truth. “My limited understanding of ME/CFS is that, like arthritis, it is probably several diseases with similar symptoms. Most colleagues who specialise in ME/CFS seem to agree. What the Fluge/Mella study suggests is that perhaps half of those suffering from these symptoms may have a B cell-dependent autoimmune disease. I find Dr. Edwards’ comparison with arthritis quite useful in understanding what CFS/ME actually is. Historically, arthritis has just meant achy, painful joints. But there are several ways that joints can get achy and painful. Osteoarthritis and rheumatoid arthritis are worlds apart. Thus, the disease classifications of arthritis by the ICD-10 or the CDC will change over time, but arthritis will still mean achy joints. The root meaning doesn’t change. In a similar way, the ME/CFS labels may change to include post-infectious disease syndrome, neurasthenia, or chronic giardiasis. But the core meaning is still there. We, the people who have this problem, are tired, exhausted, and pooped. We get tired easily, and we often can’t think straight. We get aches and pains, headaches, and depression. Maybe we are just a grab-bag of people who are sick, and tired, but we should stick together. That’s how we will fix this. By making common-cause, and working together. I’m sorry to hear about your illness. At the moment, the Norway group is advising people to wait for more research evidence before trying rituximab. But it might be possible to be included in a research trial, if you can find one in your home country. Don’t give up hope, I believe we are getting close to something good. Rituximab may not be the best drug, and it probably won’t help everyone with CFS. But when these drugs work, they can produce almost miraculous results. For example, some patients with rheumatoid arthritis who find the right treatment will go from wheel-chair-bound incapacity to buying a mountain bike, within a year’s time. I don’t know if such thing will ever happen with CFS, but the image of the person hobbling on crutches who throws them away in a trice and walks away strong and upright is worth keeping in mind. I was put on a ant-viral drug and it has really helped! I’ve been taking valacyclovir for over 3 months after blood tests were done. I got the script form an infectious disease doctor. Wow that’s great news! Tell me more! Just to clarify, there are several anti-viral drugs that have similar names. Is your medicine called Valtrex (valacyclovir)? There is another one that has been tried, that is called Valcyte (valganciclovir). I have tried Valcyte (valganciclovir), but it was not successful. Later on, a clinical trial with the valganciclovir drug was unsuccessful. So I’m very curious about your treatment! Doctors have been trying these drugs because they fight various types of Herpes viruses. There about 7 or 8 in the family, and they all cause trouble. Herpes 1 (aka, herpes simplex, cold sore virus) causes the mouth sores that people get. Herpes 2 causes genital warts. Herpes 3 (aka Herpes Zoster) causes chicken pox and shingles. Herpes 4 causes mononucleosis (aka “Mono”. or “the kissing disease” that teenagers sometimes get). It can cause nose cancer. Herpes 5 causes heart problems, and blindness and hearing loss in some people. Some doctors ares sure that Herpes 5 is the cause of CFS/ME. But other doctors disagree. Herpes 6A and Herpes 6B can cause problems with newborns, and may cause a type of brain cancer. Quite a list, and you can see that I have studied these viruses quite a bit. These Herpes family members seem different at first, but NOT so different after one examines them. They all cause fatigue, do something to the skin, live in the nerves, and are never destroyed completely by the immune system. Always hanging around to make trouble, especially when a person is weak. Mononucleosis (“Mono”, Herpes 4) is the best match for CFS/ME. Actually most people get Herpes 4 and they keep it from birth, from the mother. It comes and goes within hours, and then then it stays dormant in the nerves. If the first infection happens to a teenager, they get a set of symptoms very similar to CFS/ME, and it goes away after few months. Usually. If the Mono doesn’t go away, they become just like other CFS/ME patients. Herpes 1 (aka, herpes simplex, cold sore virus) causes the mouth sores that people get. Herpes 2 causes genital warts. Herpes 3 (aka Herpes Zoster) causes chicken pox and shingles. Mononucleosis (“Mono”, Herpes 4) is quite similar to CFS/ME. Actually most people get Herpes 4 at birth from the mother. The infection is mild, and it comes and goes within hours, but then it stays dormant in the nerves. If the first infection is delayed until adolescence, the patient gets a set of symptoms very similar to CFS/ME, but they go away after a few months. Usually. Valtrex (valacyclovir) can fight Herpes 4. Maybe that’s why you got that medicine. Maybe the doctor found that you had high levels of Herpes 4 in your blood. Or maybe the doctor was just trying something that might help. All the Herpes viruses have simple structures, and a medicine that can kill one type will also kill some of the other types at least a bit. If Valtrex can cure even some CFS/ME patients, that’s a big deal.